XMM-Newton, the X-ray Multi-Mirror Mission, is the second cornerstone of the Horizon 2000 program of the European Space Agency (ESA). XMM-Newton was launched on December 10 1999 at 14:32 GMT (09:32 EST). The observatory consists of three coaligned high throughput 7.5m focal length telescopes with 6 arc second FWHM (15 arc second HPD) angular resolution. With its large collecting area and X-ray and optical/UV bands, XMM greatly facilitates studies of objects ranging from clusters of galaxies to compact objects, and their inherent physical attibutes. Besides having funded elements of the XMM-Newton instrument package, NASA also provides the NASA Guest Observer Facility (GOF) at the NASA/Goddard Space Flight Center (GSFC) and funds a Guest Observer (GO) program to support the usage of XMM by the U.S. scientific community. The GOF provides a clearing house for project-generated technical information and analysis software as well as budget support for U.S. astronomers who apply for XMM-Newton observation time. XMM-Newton images over a 30 arc minute field of view with moderate spectral resolution. The European Photon Imaging Camera (EPIC) observes in the 0.2-12 keV band and consists of two MOS and one PN CCD arrays. High-resolution spectral information (E/dE~300 from 0.4-2.5 keV) is provided by the Reflection Grating Spectrometer (RGS) that deflects half of the beam on two of the X-ray telescopes. The observatory also has a coaligned 30 cm optical/UV telescope, the Optical Monitor (OM). More detailed information on the instruments can be found under Focal Plane Instrumentation in these pages and in the XMM-Newton Users' Handbook (GSFC or ESAC links). These pages are intended for members of the scientific community. For members of the general public, or those interested in general astronomy/astrophysics information please go to our Education and Public Outreach site. 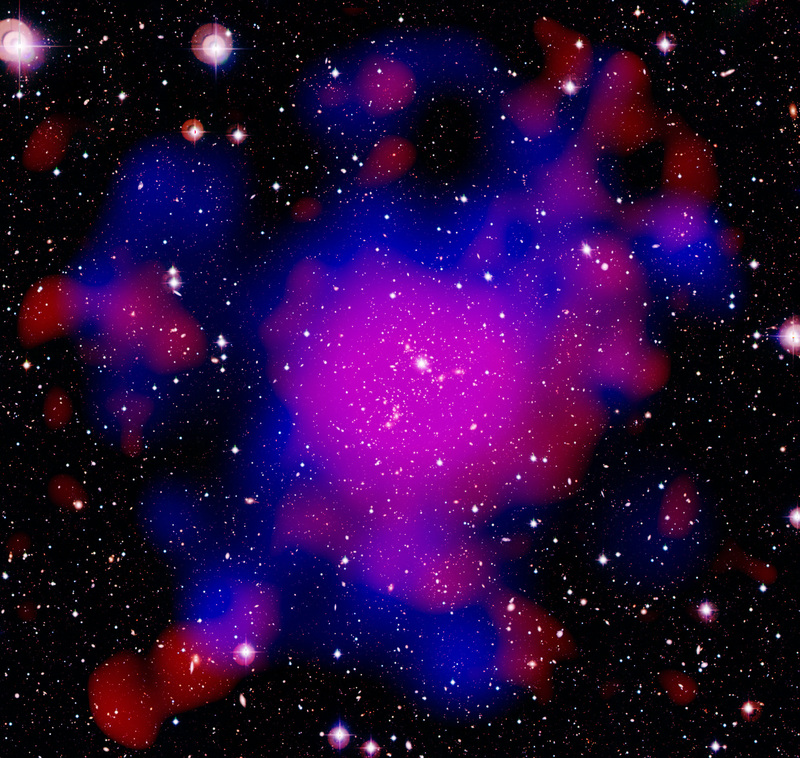 Image is a composite of XMM-Newton, ESO/WFI, and CFHT; courtesy of ESA (More details here). The list of XMM-Newton observing proposals accepted by the AO-18 Observing Time Allocation Committee is now available. XMM-Newton observing proposals are solicited in response to the Eighteenth Announcement of Opportunity.